Disabled children and young people have the same rights as other children and we want to make sure that we are able to offer the correct support, to ensure they have the same opportunities as other children. Suffolk County Council has a duty to assess the needs of children and young people with disabilities and to offer support services to minimise the effects of disabled children’s disabilities and provide them the opportunity to lead lives which are ‘as normal as possible’. Families in Suffolk may be supported by different teams within Suffolk County Council’s services for children and young people. The Early Help Service is made up of teams of practitioners who work with families who have unmet needs which aren’t being met by other support. If you have a question regarding the support available or would like to provide feedback, please complete our feedback form on the right-hand side of the page or, email LocalOffer@suffolk.gov.uk. Early Help Service – how do I access support and what’s available? *(academies may choose to provide their own services for school attendance). If you or those who work with your family feel your child needs extra help because they have some unmet needs, you can choose to begin a common assessment framework, often referred to as a CAF, visit the Suffolk County Council website for more information. A CAF may be useful if your child is experiencing a range of difficulties; these might be around their emotional wellbeing or around their behaviour in the home or the local community. Most often it is when there is a combination of difficulties. Usually, if the only difficulty you and your child are experiencing is around your child’s behaviour at school, a CAF is not appropriate. Occasionally a CAF is completed when an early help service is not required. In this situation, we will still provide advice and guidance to make sure you get the support you need. How can I find out if my child/young person is entitled to input from Social Care? Not all children and young people are entitled to input from Social Care but there is support available to all children and young people who require it. Children are simply those aged 18 or under. Sometimes children’s services will also support young people aged up to 25 as well which overlaps with the age at which services from adult social care may be available. Social Care is a term covering different types of support available from Suffolk County Council's Children and Young People's Directorate. This includes support that follows an assessment by a social worker but also includes support identified through the common assessment framework (CAF) which may lead to Early Help support. 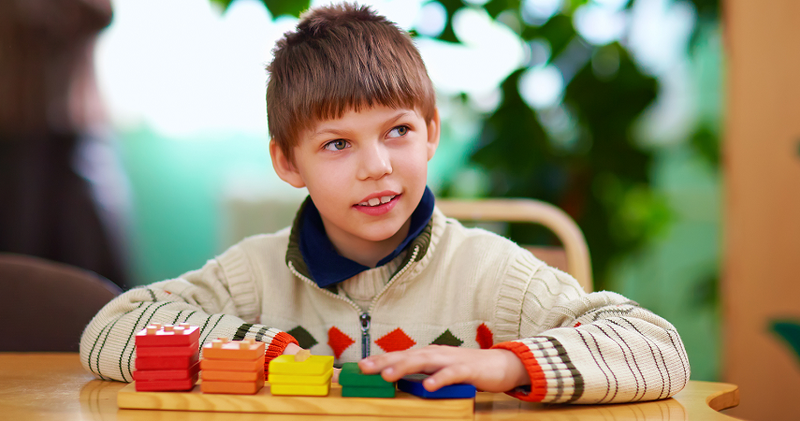 Disabled children have an additional range of assessment types and support options available too. There are four levels of need within Suffolk’s Social Care provision. Children and young people can move from one service to another as their needs alter and the support they receive may also change. All families can access Universal Services – these services can be accessed directly or via self-referral. Universal Services include: Children’s Centres, GP’s, Health Centres, School Nursing, Education and funding for early education. Common Assessment Framework – this is a way of working with families who need help. A CAF Assessment will put the needs of the family at the heart of any decisions made. It is a shared assessment tool and aims to identify needs as soon as possible and bring together services to offer co-ordinated support. Early Help – this service provides support that has been identified through the Common Assessment Form process that is not available from other services. Early Help can also prevent further problems arising. Early Help Teams have Family Support Practitioners who offer help and advice to families in need with difficulties such as parenting, safety planning, mediation and direct work with children/young people. They arrange Family Network Meetings to bring together family, friends, community and professional support to help the family as a whole. Access to Early Help support is via the Common Assessment Framework. There are children with SEND who will be assessed as eligible for a service from the children in need team, rather than the disabled children’s team. Suffolk Multi-Agency Safeguarding Hub (MASH) – Customer First on 0808 400 8005. Disabled Children and Young People’s Service (DCYP) is responsible for assessing the individual care needs of children and young people. The DCYP team provide support and advice to disabled children and young people with complex needs requiring a higher level of specialist services. This may include looking at needs relating to care in the home, assessment within the home environment, support for carers, personal budgets and transition support. Following a social work assessment, services provided could include the offer of support at home with personal care, overnight breaks from caring either in the home or within a short break provision and the option of Direct Payments as a Personal Budget where appropriate and as part of an Education, Health and Care Plans. There are criteria for DCYP input due to the capacity of the team. Appropriate referrals would include children with severe and permanent disabilities/learning difficulties and physical disabilities that significantly impact the child’s ability to access the community. For further information on the threshold criteria for a service from the Disabled Children and Young Peoples Services please refer to our guidance document. Referrals to DCYP are completed via Customer First either by a parent of a professional. The Multi-Agency Safeguarding Hub (MASH) screen the referrals and make a decision to undertake a Social Work Assessment or signpost to appropriate services such as Activities Unlimited or Early Help Team. If your child has a disability and you think they would benefit from support from a short break please contact Activities Unlimited. If your child has a disability and you think your they would benefit from support from social care, please contact Customer First on 0808 800 4005.